I’ve already written a lot of posts about Japan but there is so much more to share, Japan is just awesome! One of the coolest places in Japan (quite literally) is Hokkaido, the northernmost island of Japan. Hokkaido is wild, untamed and the scenery is stunning. I felt very tiny compared to the massive volcanoes and the high walls of snow lining the roads (told you it was cool;-). 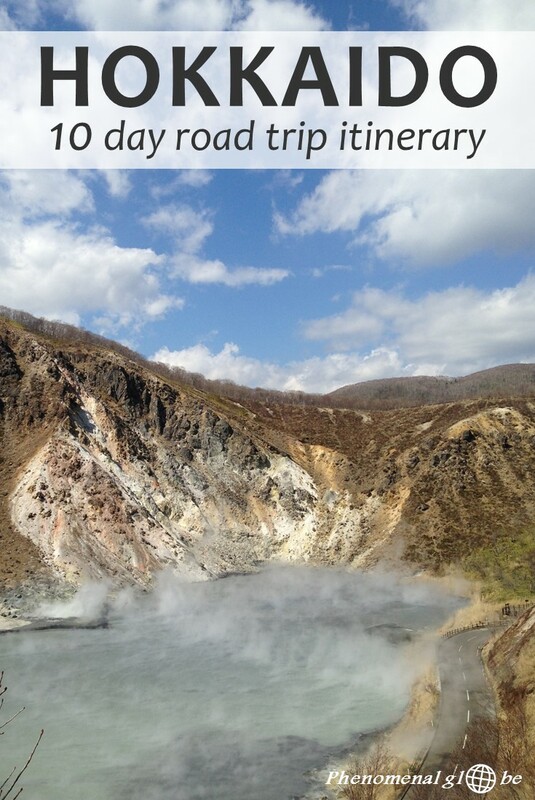 The purpose of this post is to share with you the complete route of our 10-day self drive road trip around Hokkaido. For each day I list the itinerary, our accommodation and the highlights of the day, you can find these in the map below as well. When I was researching Hokkaido and our road trip itinerary, I discovered not much has been written about driving in Hokkaido. 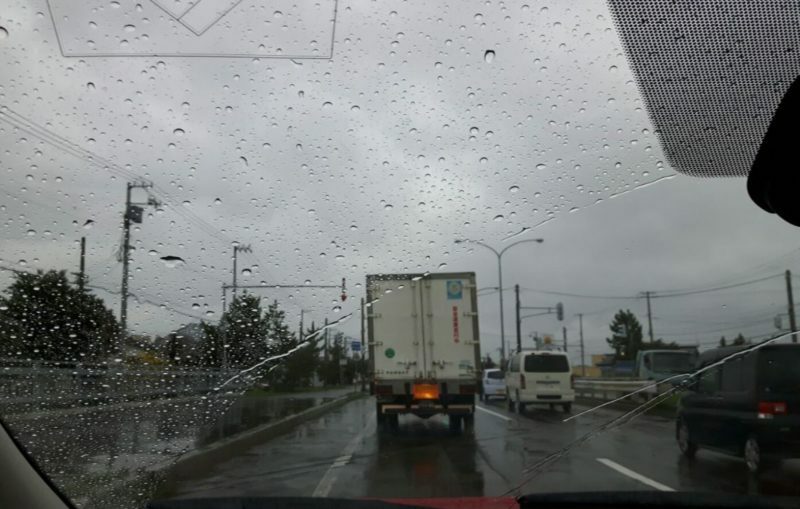 If you would like to know more about renting a car and important things to know about driving on Hokkaido (the speed limit, the Hokkaido Expressway, getting an ETC card, etc. 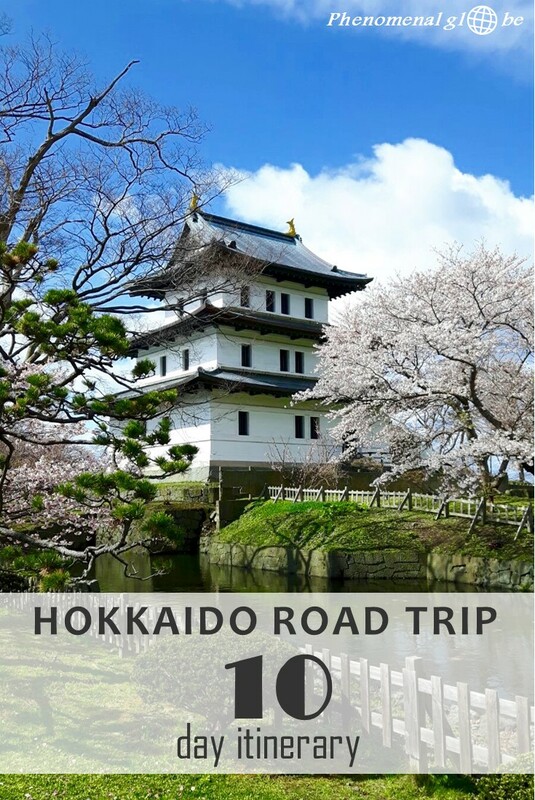 ), check this post I wrote to provide the information I couldn’t find when planning my Hokkaido road trip. 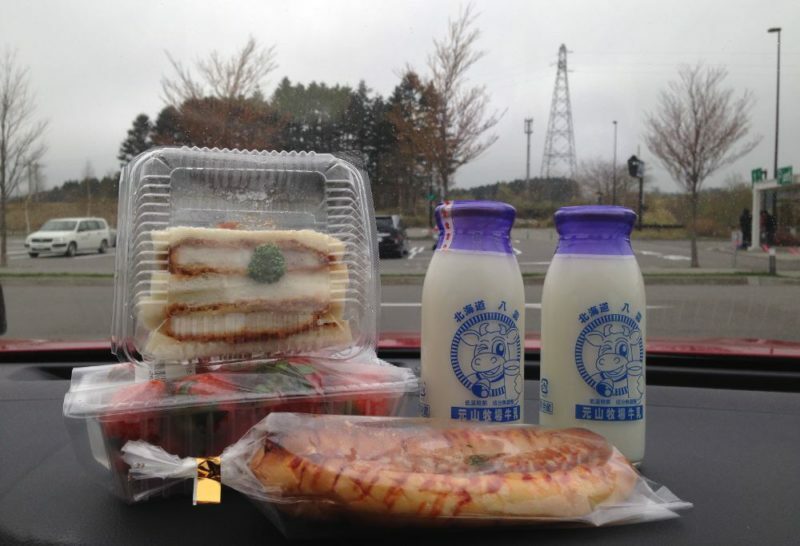 • I traveled with my husband; we started and ended our road trip at New Chitose Airport (Sapporo). • Our Hokkaido road trip was 10 days in total, we drove approximately 2000 kilometers (so ~200 km per day). • For our road trip we decided to follow the sun, or at least go where the weather forecast said it would be the least rainy and/or cold. I have to say, the Japan weather forecast is extremely good! It was very accurate for our Hokkaido trip, something we definitely used to our advantage while traveling around. With temperatures below 0 degrees Celsius at some point, we decided to change our plans and head south instead of north to Wakkanai and the islands of Rebun and Reshiri. Our entire itinerary was based upon the weather and turned out very different from the one I drew up before our trip. After all, travel is all about being flexible! Picking up our car: I love road trips! Love em, love em, love em! Freedom on wheels☺. + The view alone makes this campsite worth a visit! – The fierce wind blowing over the lake was so cold… I didn’t sleep and almost froze during the night… We purchased thermal underwear and extra blankets the next day;-). Also, there was no shower. Though I later found out this is normal for Japanese campsites, instead, there are onsen! Price paid for a night: €12,80/$14. 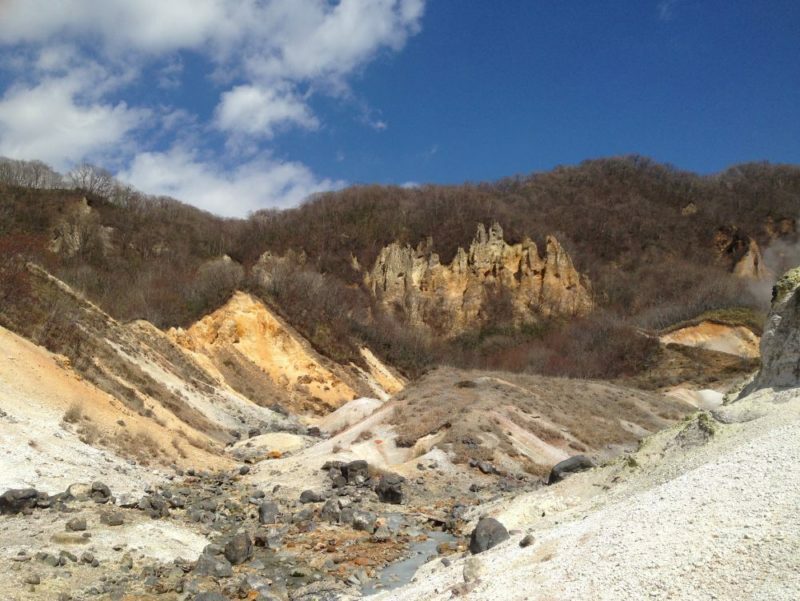 Jigokudani (Hell Valley): volcanic activity is something that has fascinated me since I was a little girl. In fact, my first school project was about volcanos and got me an A:-). 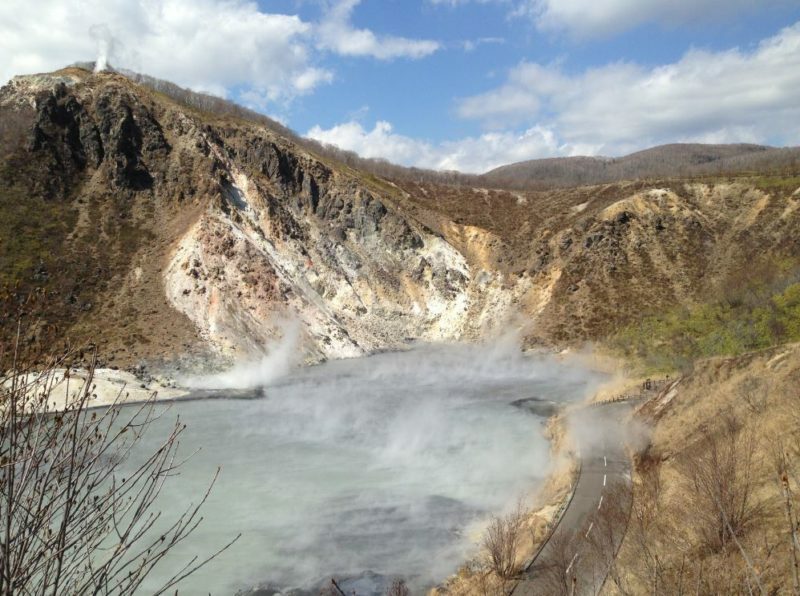 The smell of sulfur, the crazy colors of the rocks and the steaming vents make Jigokudani a marvelous place where you feel (and smell) the incredible force of nature. Lake Kuttara: a perfectly circular crater lake of the volcano Kuttara, containing the best quality water in Japan! Lake Toya: another spectacular lake with an even more spectacular backdrop. + We were the only ones at the campsite! It was so quiet and the starry night was magical… Also, with our newly purchased extra measures against the cold, sleeping in our tent was very comfortable! – The onsen was closed (perhaps it had something to do with us being the only ones there;-). Price paid for a night: €7,20/$8. Our first onsen experience: was amazing. Let me explain why… It had been raining heavily the entire day. And we had slightly underestimated how cold Hokkaido would be at the end of April. Therefore, the rain felt like wet snow and we didn’t feel like pitching our tent that night. Thanks to my Tep Wireless I could book one of the last available hotel rooms in Hakodate which happened to have an onsen. Onsen = Japanese spa with a VERY hot bath… Utter bliss! Read more how to visit an onsen in Japan. A word of advice: Golden Week is the busiest travel period of the year in Japan because it’s a public holiday, so book ahead when traveling during this period. My favorite sites to find accommodation are Agoda, Booking and Airbnb. – Smoking is allowed in this hotel, therefore the rooms and halls smell of smoke. But if you open a window it’s not that bad. Agoda rating: 7,1 | Price paid for a night: €46/$50. 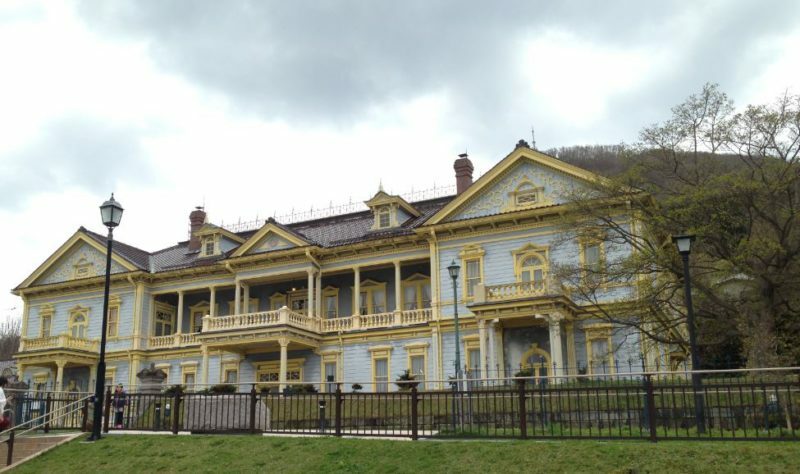 Hakodate Village: old brick houses and colonial villas. It was almost European! 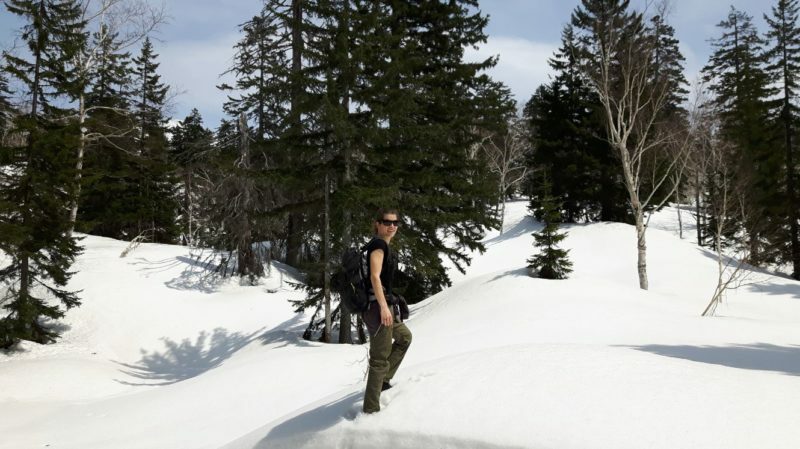 Hakodate Mountain walking trails: on Hokkaido nature is never far away. And so it didn’t take us long to find a nice hiking trail leading to the top of Mount Hakodate. + I didn’t know this, but sleeping in your car is actually rather common in Japan! When we arrived at the Michi-no-Eki (road station) in Fukushima we were a bit apprehensive, we were not sure if it was allowed to stay the night. We decided to risk it and were very surprised to wake up the next morning to a packed parking lot! There were fully equipped campervans (one even had a generator) and next to us was a Japanese man in a suit who slept in his sports car. There was a supermarket across the park place where we had coffee and breakfast. We even brushed our teeth in the shops’ little bathroom! – Staying at a park place obviously offers limited facilities. Price paid for a night: free! Matsumae Castle: visiting a Japanese castle during cherry blossom season with a perfect blue sky: it doesn’t get better than that! Onuma Quasi-National Park: strolling around this nice little park with lovely bridges and stunning Mt. Komagatake in the backdrop. A perfect afternoon activity. 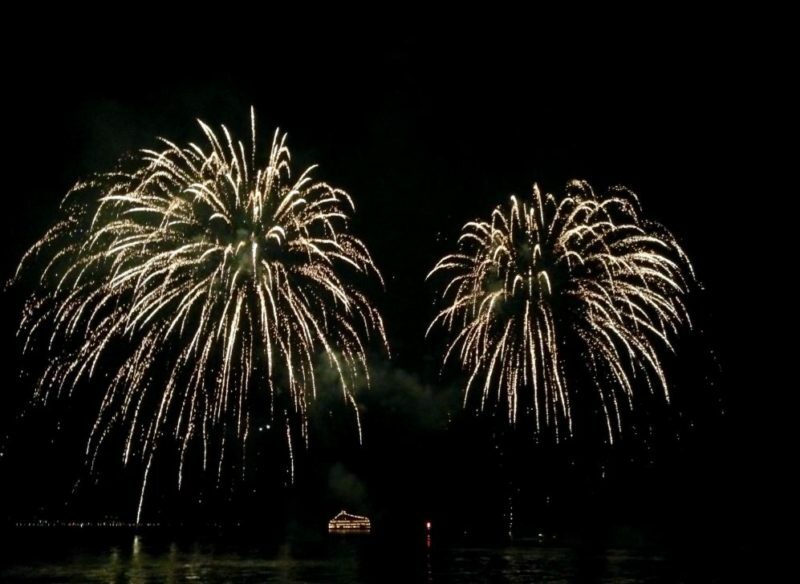 Lake Toya Fireworks: from the start of Golden Week until October there is a firework show every evening. No tickets needed, you can freely enjoy the show from the boulevard. Being 1 day too early on our previous stop at Lake Toya, we were happy to catch this great show on our way back North. + The park place was in the center of the village Toyako, but still very quiet (we were there very early in the season). Clean toilet building with warm water. – Again, limited facilities means no shower. Furano Maze Soba Tempura: my absolute favorite dish in the whole world… Food in Japan is delicious on the whole but this dish is my #1. Blissfull bubbles: peeling of my thermal underwear after wearing it for 3 days straight to soak and bubble away at the luxurious spa at the New Furano Prince Hotel. Nope, no picture… You can find one on the website of hotel. + I absolutely loved this place! The accommodation is basic, down to earth and located in the middle of the woods! Also, the owners are so welcoming and friendly, they gave us great advice about sightseeing around Furano. Excellent facilities: fully equipped kitchen, free laundry, fast WiFi, discount on the luxurious spa at the New Furano Prince Hotel and free breakfast. – Nothing! I could say it’s difficult to reach by public transport but the backpackers we met at the guesthouse were all picked up from the train station by the incredible owners of the place (we had our own car). Agoda rating: no rating yet | Booking rating: 8,2 | Price paid for a night: €24/$26. Cheese factory: the first stop of the day was the cheese factory where we watched an informative movie (even though it was in Japanese and so were the subtitles?). We ate wine infused cheese and black brie, very interesting tastes. And of course we had to look up Dutch ‘Goudse Kaas’ on the World Of Cheese. Wine factory: next up was the wine factory (I had no idea wine is produced in Japan!). It was fun to take a look in the wine cellar and search for the wine bottles produced in the year we were born. Sunny weather: the weather was amazing during our time in Furano, it was even warm enough to walk around in a t-shirt! We went for an easy 5-km walk near the wine factory and spotted a fox in the fields! Farm Tomita: the most famous lavender farm in Japan. I didn’t know this before coming to Japan, but lavender is kind of a thing here. Apparently there is a special train station which is only in use during lavender season. Seeing the already beautiful views from Farm Tomita, I can understand why this place is such a tourist hotspot (for Japanese people). We bought a lavender ice-cream which tasted strangely good even though it reminder me of toilet freshener. 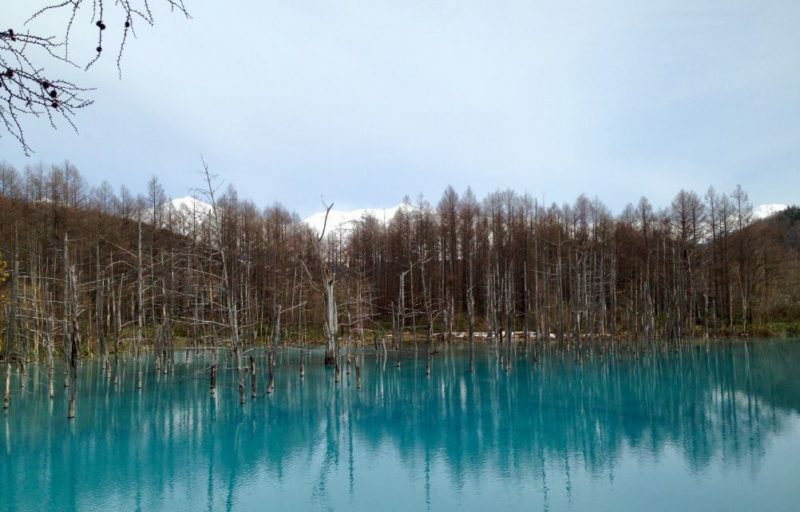 Blue Pond: a beautiful but odd place with vividly blue glacier water and a lot of dead trees. Pretty but strange. 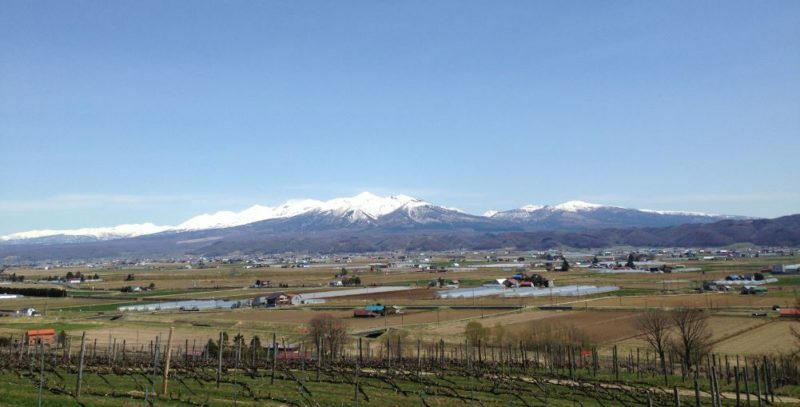 Driving through Furano valley: the views of the mountains on both sides of the valley were beautiful and we were extremely lucky with the weather! Glass Forest: the last stop on our self-drive customized sightseeing tour around Furano was the Glass Forest. 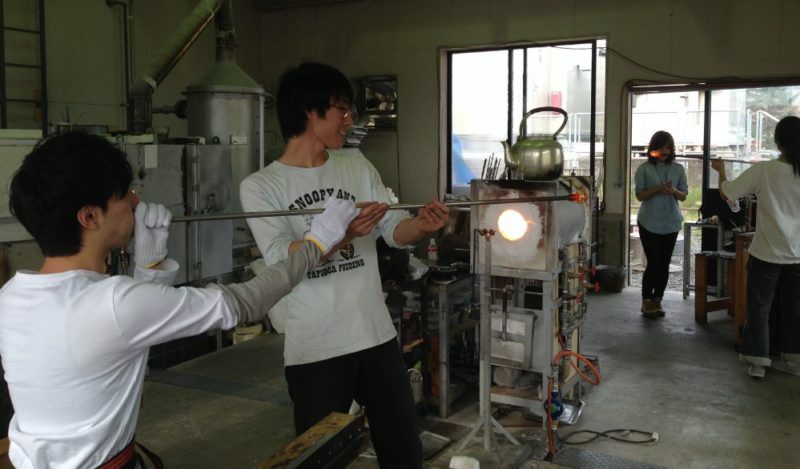 This glass is unique and made using a very special technique which creates tiny cracks in the glass that take 3-5 years to mature! It’s very beautiful but also very expensive! 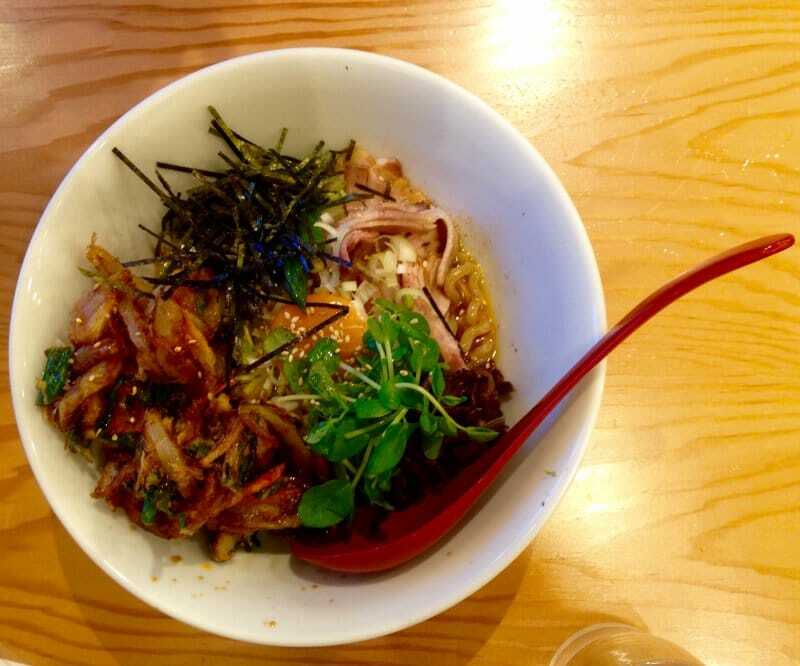 Enjoy the good life: we ate maze soba again because it was so delicious. And then we hung out in the spa of the New Furano Prince Hotel, again… Travel is great! We therefore assumed hiking would be out of the question, but when we paid a visit to the tourist information center the friendly guy manning the station told us about a cross-country trail that was accessible for walking! Awesome! The temperature was around 16 degrees Celsius and was a bit surreal to hike in a t-shirt through a very snowy landscape. An unusual experience for sure, with gorgeous views along the way. + We asked the staff of the 7-11 if we could park for the night and they so kindly made an exception for us. Japanese people really are the nicest! Parking next to the 7-11 meant we could literally crawl out of bed to get our morning coffee. Also, as apparently all supermarkets in Japan do, there was a toilet in the store and a little sink to brush our teeth. – No shower (we may have been a little smelly in Japan;-). To get the best view we hiked to the top of the trail across the waterfalls, from this spot you can take a picture of both waterfalls in one shot. Be sure to take a bear bell on the hike and keep your eyes peeled for wildlife. We didn’t see a bear but we did spot a couple of deer strolling through the forest. Road through Daisetzusan National Park: even with the dreary weather we were having it was a delight to drive this road. 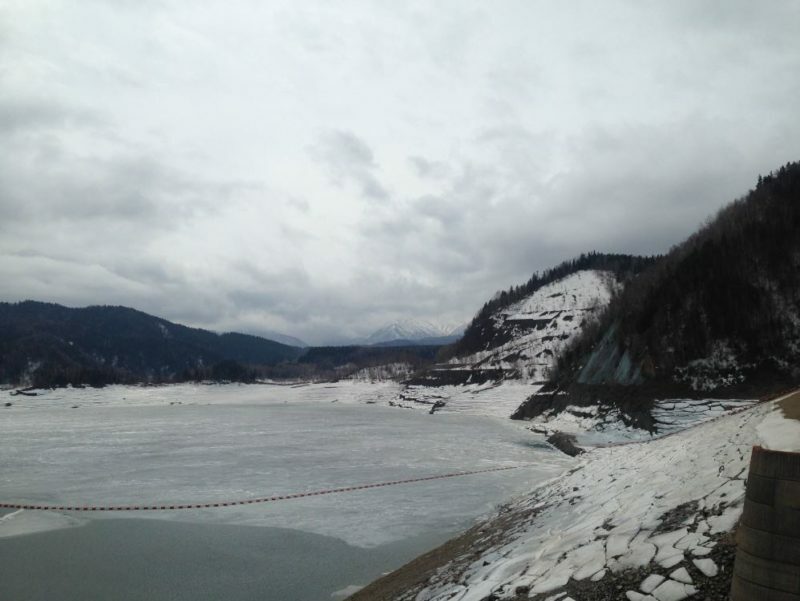 We continued driving because with rain pouring down there wasn’t much else we could do and end up at Lake Akan. In Akan town we chilled out in a little café, Pan de Pan, until the rain cleared up. With an almost completely clear sky we went for a short walk by the beautiful lake and strolled through the Ainu village. In the shopping street of Akan village all sorts of arts and crafts products and countless marimo items are being sold. Marimo is what Lake Akan is all about after all! You might wonder what the #$%^ is a marimo? 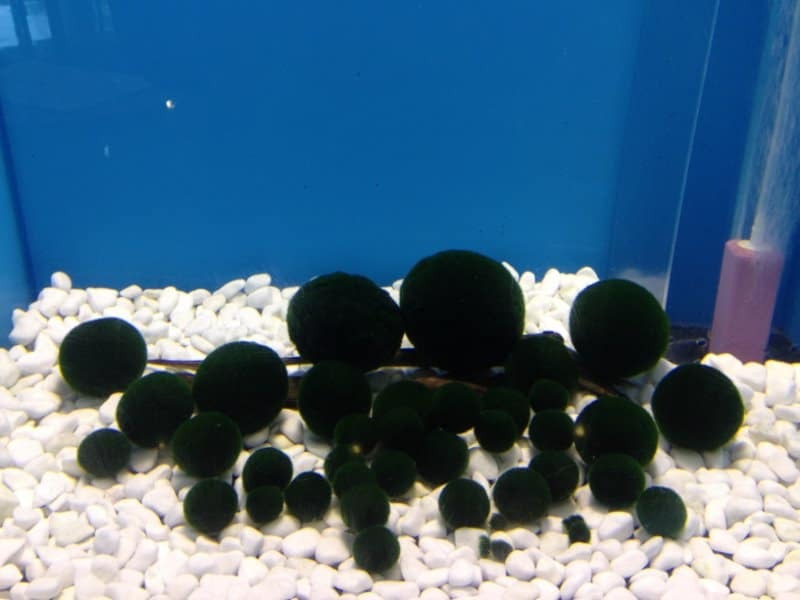 Marimo are green spheres of algae and very kawaii (because fluffy). How much of a thing is Kawaii in Japan? Let me quote the Lonely Planet: Marimo became endangered after being designated a national treasure. Suddenly everyone in Japan needed to have one. Anyway, these green spheres of algae grow in lake Akan and the people living in the village sure know how to use that fact to their advantage, there are marimo-themed items everywhere you look. + The lady selling the parking tickets didn’t mind if we stayed the night. The parking place happened to be across from 7-11, so getting coffee and breakfast was easy again, as was cleaning up (slightly) in the morning. – I’m nit-picking here, but the ground wasn’t level. Not ideal when you sleep in your car. Price paid for a night: €3,20/$4. Lake Akan nature walk: On our last day on Hokkaido we were definitely in luck (again): the sun was shining! We went for a short hike over the nature trail next to the Eco Visitor Center. It was a brief hike but offered great views of the lake. And of course we passed some mud pools, signs of volcanic activity are never far away on Hokkaido. Eco Museum: in the Akan Eco museum we checked out some particularly fluffy marimo (see the picture above) and learned more about the formation of these strange phenomena. Hike around Lake Onetto: Lake Onetto is a gorgeous lake with a bright blue color and two volcanoes looming over it, such an impressive sight. We went for a hike around the lake, but the trail was still partially snowed under! I imagine in summer it’s a nice and easy stroll, but being so early in season it was quite a challenge for us not to sink into the snow deeper than our knees! It was a lot of fun and a great way to say goodbye to beautiful Hokkaido. + We had an early flight from New Chitose Airport, this hotel was close to the airport and offered a free shuttle service. It was a nice place to stay, the room was small but after sleeping in our car for a couple of nights it actually felt big to us;-). Soaking in the steaming onsen was great, as was feeling clean again after 2 days without a shower. – The sauna was out of service which was a bit of a bummer. Agoda rating: 7,6 | Booking rating: 7,6 | Price paid for a night: €48/$53. Making a road trip around Hokkaido was amazing, despite the cold. 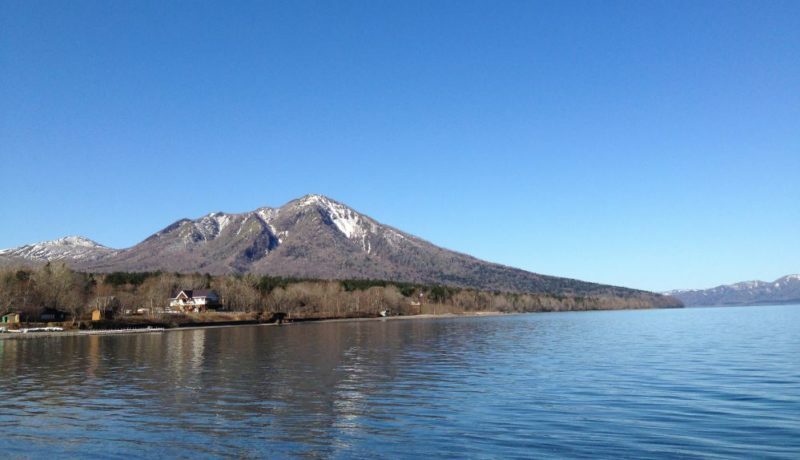 Hokkaido truly is an amazing island: wide, wild, countless mountains and volcanoes, lots of wildlife, pretty lakes, nice people and delicious food. Who knows, maybe I’ll have the opportunity to come back once more to this untamed island… Not many people include a (road trip) on Hokkaido in their Japan itinerary, but I thoroughly recommend you do! If you want to read more about traveling in Japan, check out my other posts (itinerary, budget breakdown, food and funny things in Japan). Feel free to ask any questions you may have about a trip to Hokkaido, I’m more than happy to answer them☺. Thanks for getting back to me Lotte. Having looked at the region, l think we are going to choose mid June to Mid July. 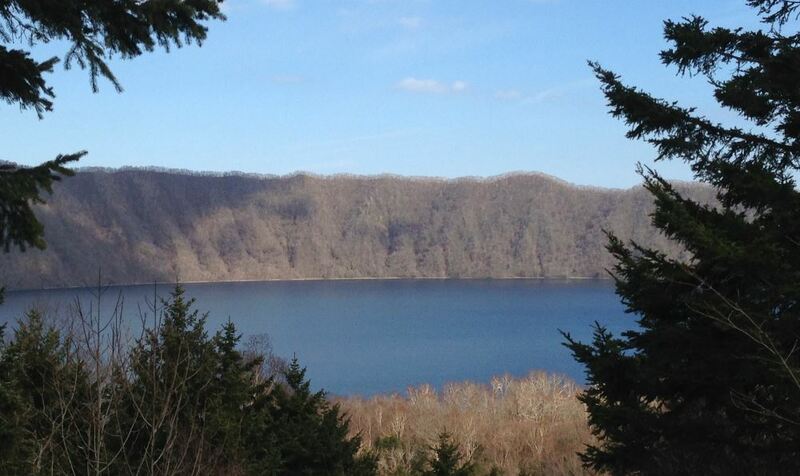 This way the weather will be warmer for camping and all hiking routes and National Parks will be open. I do have a question if you don’t mind. It’s about hiking/walking. We are approaching our 60’s (l can’t believe it!). Although we are both fit, we need to choose our walks carefully. Not too steep nor too long, although a two day walk would be fine. We can walk about 10 miles a day and have hiking boots and sticks (and bear bells ?). 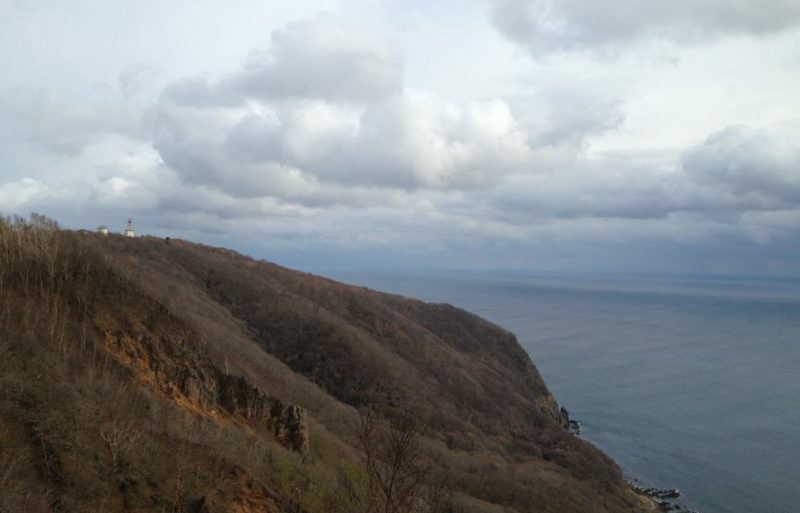 I gather that on Hokkaido most trails go up for views etc. We are more interested in trails that follow water, in forests, maybe cross a village, and most definitely to try to see wildlife. So a walks from a couple of hours to 2 days would be fine. On your trip, can you recommend any of your trails? Or perhaps send me the names of them? Also, did you have a book or special map with the trails marked on them? Or did you just turn up and follow the path signs? Hi Cindy, of course! I’m happy to help:-). I think you are making a smart choice, mid June – Mid July gives you the best change of good weather + many hiking opportunities but you avoid the worst of the crowds during the school holidays. You’ll fit right in in Japan! Most hikers there are also 50+. About the hikes, we mostly did short hikes too because the longer hikes (most of them higher up the mountains) were still snowed under. 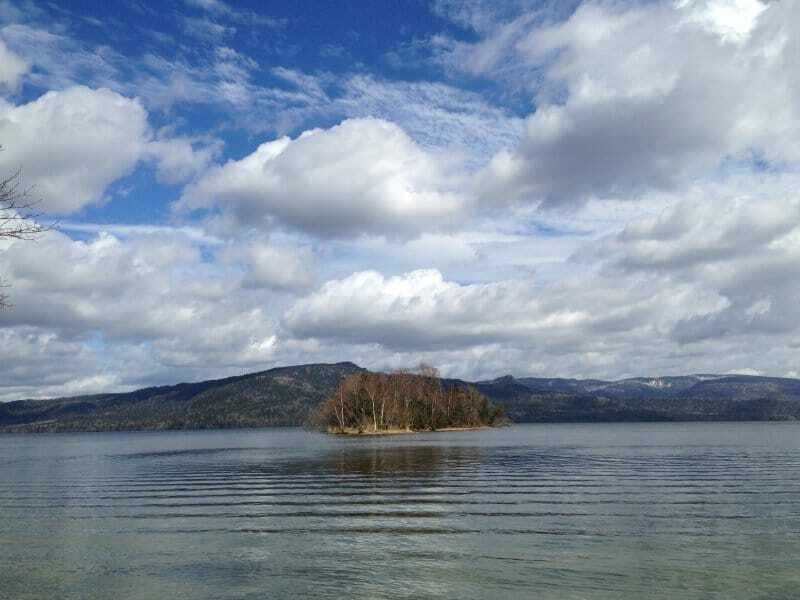 A great hike would be the Nature trail at Lake Shikotsu, you’ll follow the shoreline of the lake from Shikotsukomorappu Camping Ground to the village of Shikotsu Onsen. Walking around Jigokudani (Hell Valley) near Noboribetsu is also very nice, not a lot of elevation and very impressive surroundings. Another nice option is to walk around the park at Matsumae Castle (in the South of Hokkaido). 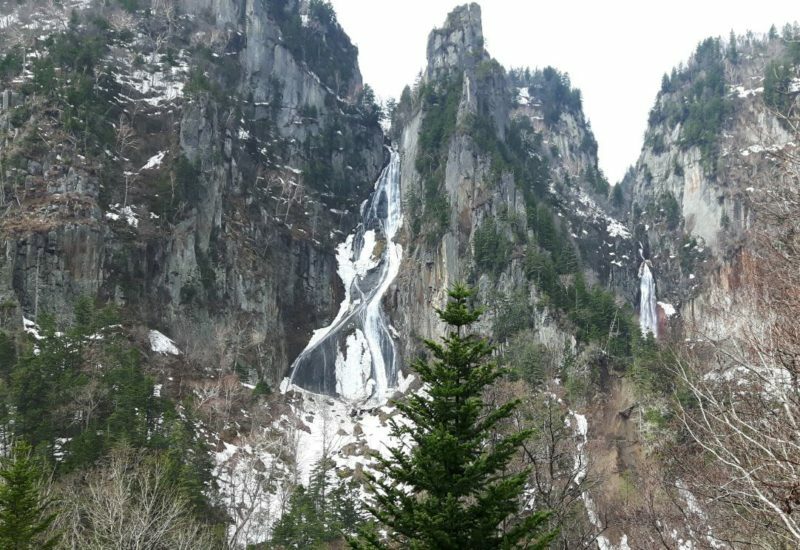 Perhaps you can take a look at my 10-day itinerary post (https://www.phenomenalglobe.com/hokkaido-road-trip-itinerary/) to see if this gives some more information and inspiration for hiking opportunities? Thank you again for your reply. Yes, l didn’t see your travel blog the first time around, l shall read it is depth now. Could l tell you a little about my travels? You can always skip over the boring bits ?. I grew up in Uganda in the 1960’s and still regard this as the best childhood l could ever have wished for. It gave me my love for the nature and wildlife, and my passion for adventure and travel. We moved back to the UK when l was in my teens and yet l always yearned for adventure and distance shores. As soon as l was 18 years old, l applied for my passport and with a girlfriend, we hitch-hiked to India. We followed the old hippie route and were the very last to be able to do this unique and historic journey. Our route took us from an un-unified Europe, picking grapes in France to earn some money, across the former Yugoslavia, Bulgaria, and the Bosphorus. Crossing Turkey, Iran, Afghanistan, Pakistan and India. We had many adventures, some of them quite dangerous, but what a wonderful trip for 18 year olds to enter the world of adulthood! and l had a couple of very questionable experiences! However, it was on this trip that l met my future husband, so we’ll worth the trials and tribulations of my solo travel experiences ? Fortunately my husband shares my love for travel. I moved to Germany to be with him and after two years we packed our rucksacks and set off for my beloved Africa. We spent one year travelling across the continent. We had the most unforgettable, humbling, dangerous and exhilarating trip. The deepest Congo holds special memories for me. My beloved Uganda was such a mixed feelings as it was going through the throes of civil War! We finally reached South Africa and settled for two years. After two years we bought a land-rover and toured the country, venturing into Botswana and Namibia. We have climbed Table Mountain (and Ben Nevin and Mount Kenya). Next we up sticks and flew to Australia. We bought an old car and crossed the Nullabor desert. We managed to get our scuba diving licence on the Great Barrier Reef. We picked apples in Western Australia, and tomatoes along the Gold Coast. We worked in photo labs and planted melons. Everything to further fund our travels. So many adventures and many smiles. After Australia we sold our car and bought two bicycles. These were for New Zealand! Six glorious months pedalling around the North and South islands. Wonderful Memories! Back in Europe we settled in Germany. For me it was always exciting, after all it was a foreign Country! I learned German and found employment. We lived happily for 7 years exploring the country. Then we decided to start a family. A girl and a boy – such joy. But decided to introduce them to the world. They have been with us to Kenya, Tunisia, Costa Rica, Maldives, St Lucia, Sri Lanka, etc. Now that they have grown up, we are back to our adventures. Travelling around Uganda and Zimbabwe. Exploring Kerala. Canoeing down the Zambezi River. Walking through African bush and meeting bull elephants and lions. Month long expeditions to the Amazon basin in Guyana. Hiking in the forests of Hungary, trekking in the Black Forest and Bavaria. Our next step, in our autumn years ?, is to buy an overlander and set off into the sunset! Africa will always hold a magnetic magic for me….. So, hopefully a great trip to Japan this year. Wow, that’s such an inspirational story!!! So many adventures and amazing destinations… Thank you very much for sharing:-). I am sure you will inspire many readers! Africa is a continent I have yet to visit and your enthusiasm is making me feel I really should;-). Love your travel blog. I’m planning a road trip for 2018 to Hokkaido for approx. 2 weeks. Can I ask you what your dates were for your trip? 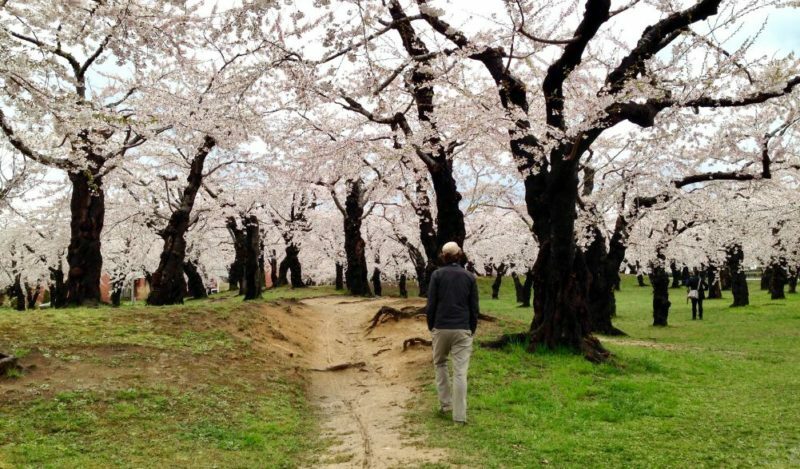 I really would like to see the places you visited – especially seeing the Cherry Blossoms! I know they are at their peak for a very brief time, so i’m going to try to plan things as close as I can. Any help you can offer is much appreciated. 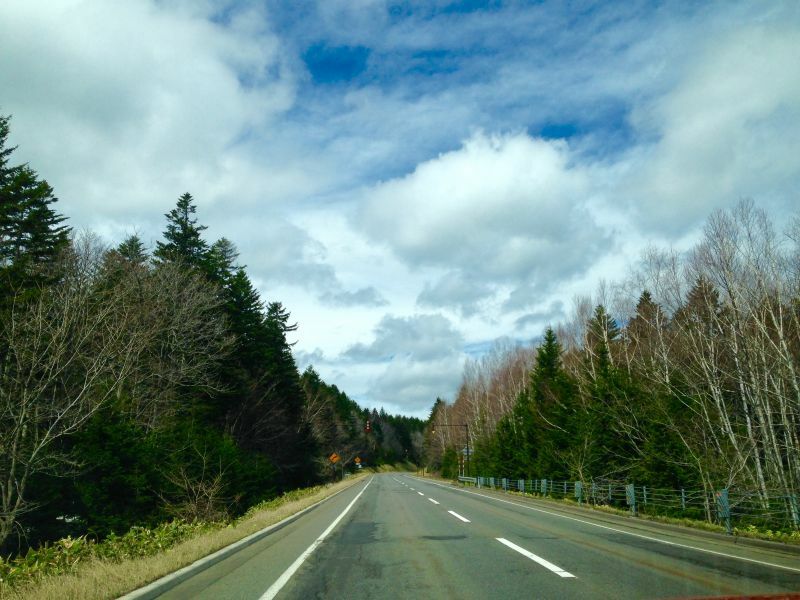 BTW – I really appreciate your post outlining how to drive a car in Hokkaido. Invaluable! Thanks so much for your kind comment, I’m very happy to hear you like my blog and the driving on Hokkaido post:-). Great you’ll be going to Hokkaido in 2018, it’s a beautiful island and not very touristy. Well, it wasn’t when we were there which brings me to your question: our trip on Hokkaido was from the 26th of April until the 6th of May. Coincidentally, the cherry blossoms were at their peak blooming during that time, which wasn’t something we purposely planned for but it was wonderful to see so many pretty pink and white flowers. 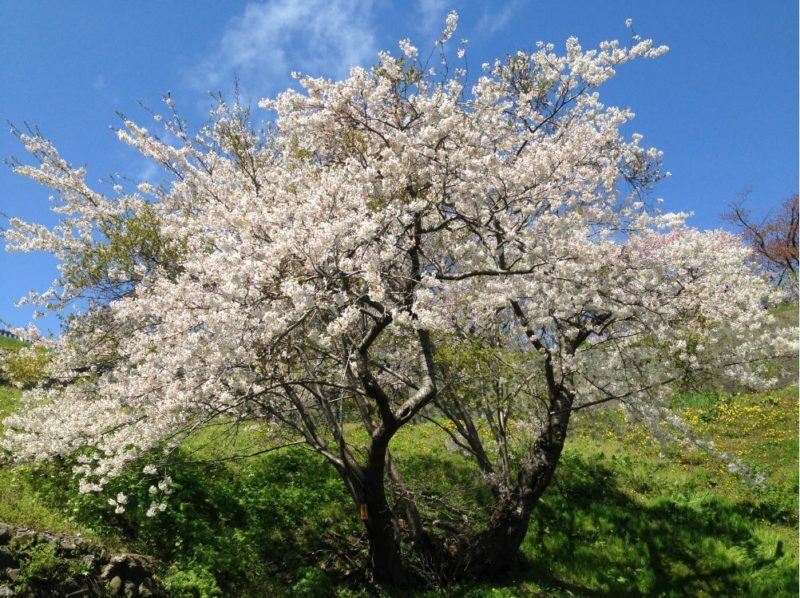 You can check the japan-guide website for up-to-date information about the cherry blossoms. Let me know if you have more questions! Thank you so much for your response. I am still in the very early stages of planning our itinerary, but will target early May for 2 weeks. Last year my husband and I stayed on Miyajima Island for 2 nights in a ryokan, and hiked up the Daishoin course to top of Mt. Misen. So when i read through your blog of your experiences there it brought back great memories. 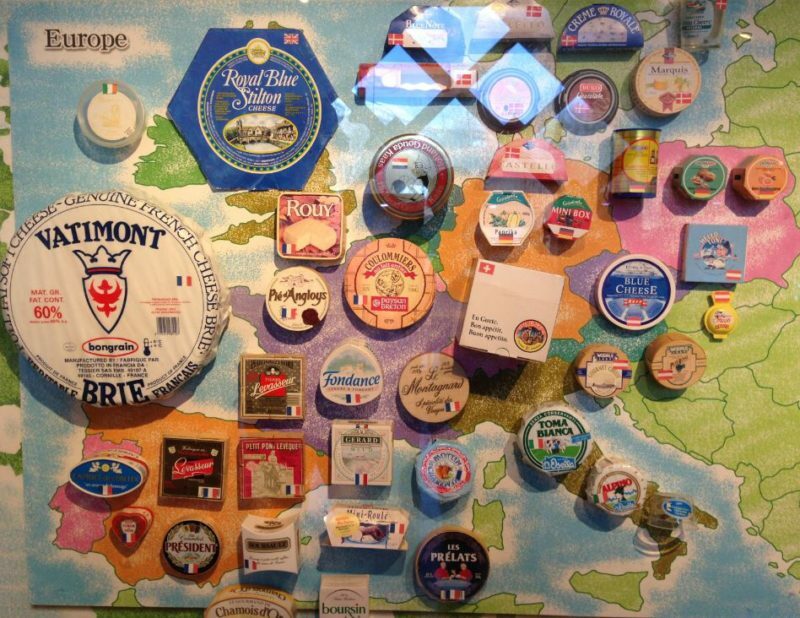 Thanks again for sharing your travels through your blog. I think after we’re done with Japan, I’d like to take in New Zealand. It looks amazing! I think May is a wonderful time to visit Hokkaido! Please do take enough warm clothes with you, it will be freezing at night and the Siberian winds are anything but warm. 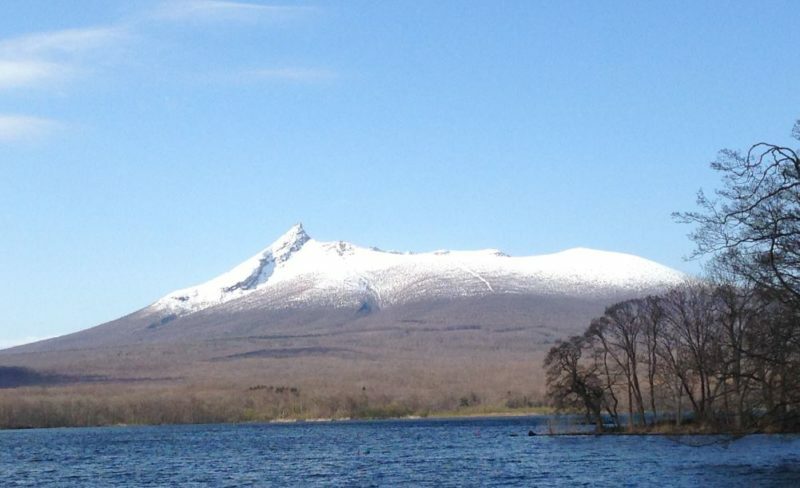 But the island is gorgeous, with cherry blossoms and snowy volcanoes… Beautiful, you’ll love it! So cool you went to Miyajima and hiked to the top as well, I loved the view from the top! Thank you for your kind comment, it’s so nice to hear people like reading my stories:-). How was the driving at Hokkaido? Are the roads still icy during that period? Hi Lotte! Great post! We are heading for Hokkaido in a couple of weeks and reading about your route has been helpful. I was wondering: when you mention “park place”, do you mean that you slept at the parking area? If so, do you pitch the tent or just sleep in the car? 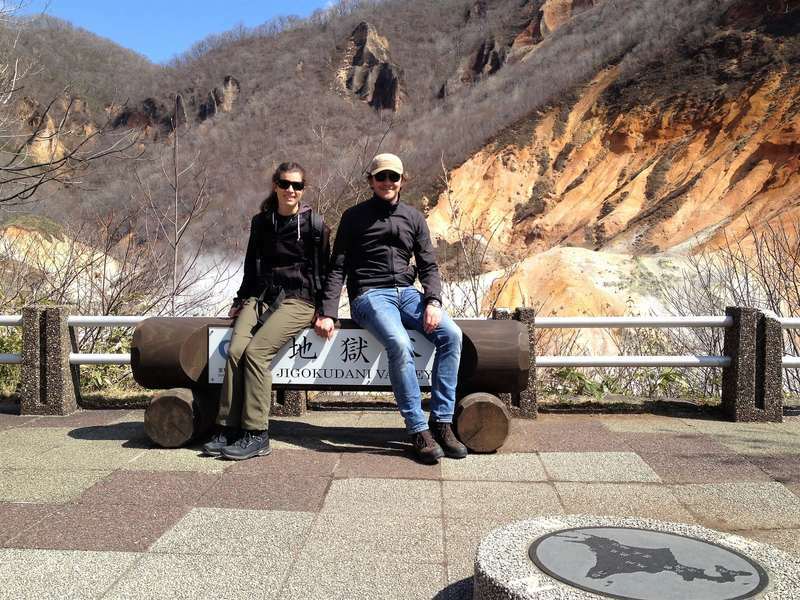 Hi Cristina, thanks for reading my Hokkaido route, I’m happy to hear it has helped you plan your trip:-). Apologies about the confusion, I mean we slept in the car on the parking areas. It was very cold so for us this was a bit more comfortable than sleeping in our tent. 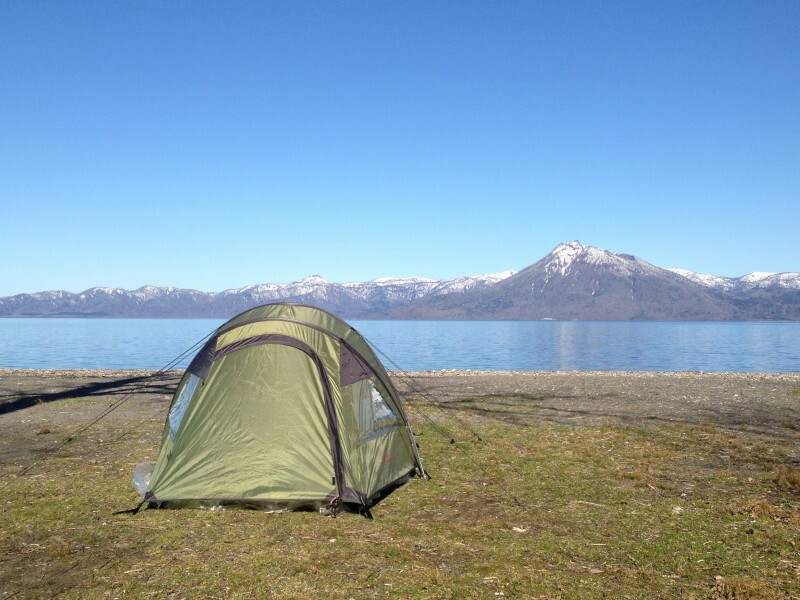 Also, the parking areas are tarmac and we couldn’t pitch our tent anyway;-) Enjoy your Hokkaido trip, it’s an amazing island! Thanks so much for describing your itinerary; My bf and I are going to visit Hokkaido in late September for 10 days and we were a bit confused between the billions answers in forums 🙂 Just a quick question: do you need to speak Japanese to visit Hokkaido or is it ok in English? You are very welcome! I don’t speak Japanese and we managed fine. Sometimes you have to get a bit creative to make yourself clear but people are very kind and willing to help! English and a positive attitude should be sufficient;-) Enjoy your trip! Lotte is right, you don’t need to speak Japanese to explore Japan. Just last month I published an ebook called “How to Travel in Japan Without Speaking Japanese” – you might want to take a look! Hope your trip is fantastic! Great post. Did you sleep in a tent? How does it work? Thanks, happy to hear you like the post:-). About your question, yes we slept in a tent for a couple of nights. If you check my Camping Packing List you can see which items you need for a camping trip: https://www.phenomenalglobe.com/camping-in-japan-packing-list/. In this post you can find all the places we stayed at during our Japan trip, including the campsites on Hokkaido: https://www.phenomenalglobe.com/where-to-stay-in-japan-on-a-budget-accommodation-guide/. Thank you so much!! I’ll check it out. Hi Lotte – what a great read! As a non-driver (yeah, shocking I know!) 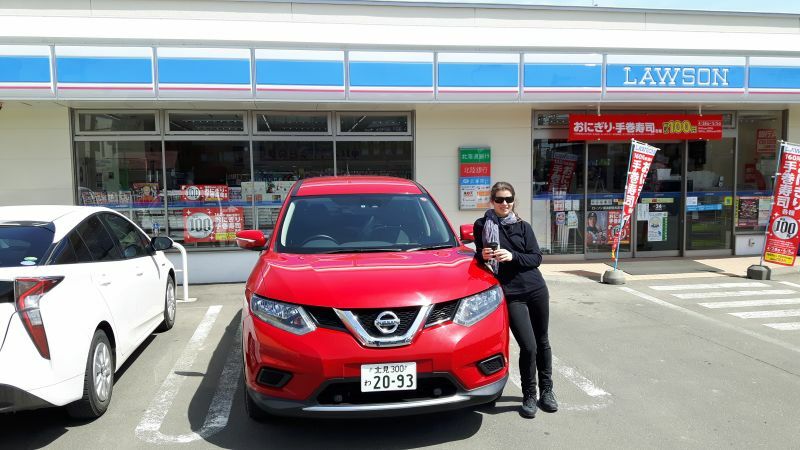 I’m always interested in how folks explore Japan by hire car. I have a lot of affection for Hokkaido and reading this reminds me not to leave it too long before I’m next there. The Log Yukari Guesthouse really looks like my kinda place – so that’s a good find – thanks for the tip! 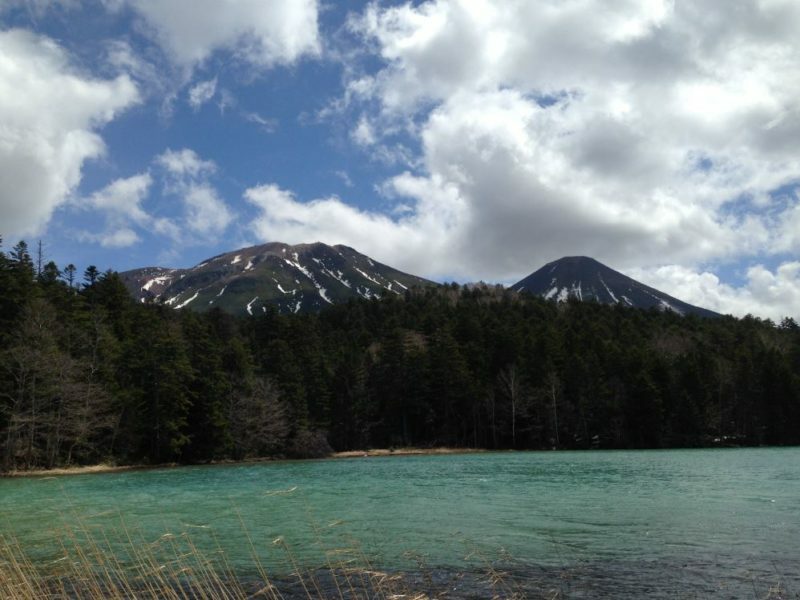 Did you go to Hokkaido around late April? 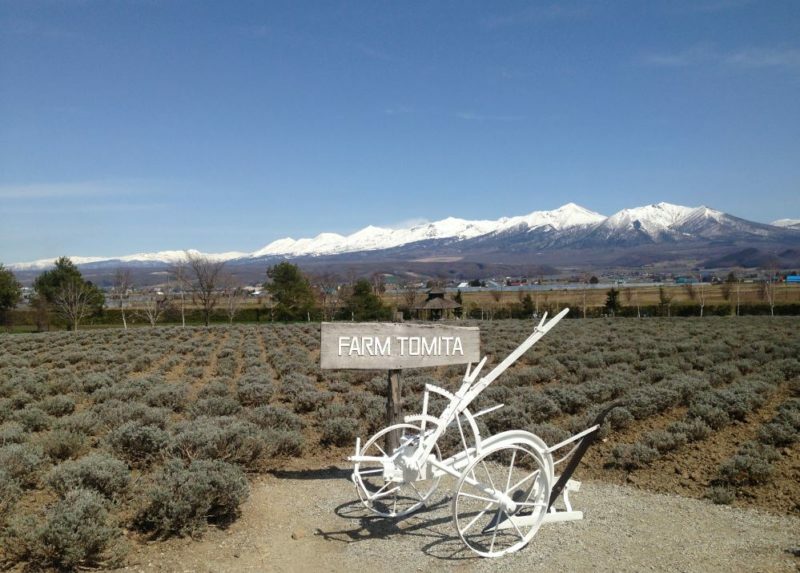 I’m planning to go there on this late April and would love to go to Farm Tomita Furano, I saw your picture there, and seems that the lavender is not bloomed yet, But how about other flowers? I’m afraid that late April (30 april) wont be a good time to go to the farm if others flowers are also not bloomed yet. 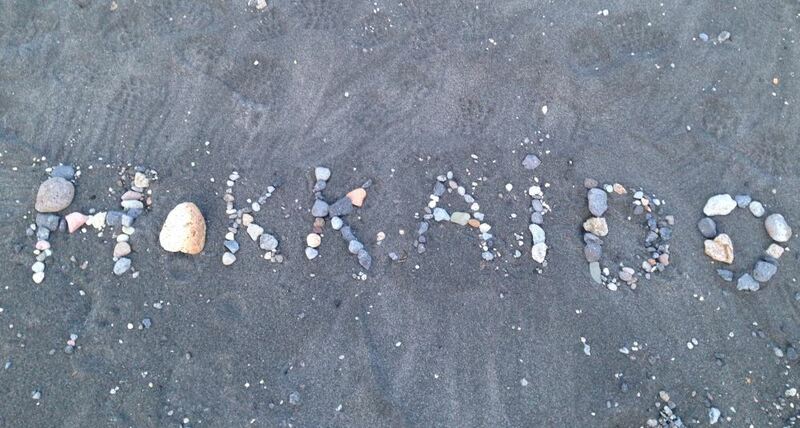 You are most welcome:-) Regarding your question, yes we traveled to Hokkaido at the end of April. No flowers were in bloom at all, in fact, there was still a lot of snow! Visiting Farm Tomita (and the other places on Hokkaido) was still great but if you are specifically looking for flowers blooming the end of April of probably not a good time. Enjoy your trip! Great post! Thank you for sharing your trip and information with fellow travellers! I have a question… You mentioned “With temperatures below 0 degrees Celsius at some point, we decided to change our plans and head south instead of north to Wakkanai and the islands of Rebun and Reshiri…” Was weather and freezing temperatures the only reason why you changed your course of travels or was it because of the sights as well (with North having less sights over longer distance and South having more sights over shorter distance travelled? I am planning to include some south Hokkaido (giving NOBORIBETSU and HAKODATE a miss… the former i’ve seen plenty in Rotorua and the latter, is just a city) and some of north Hokkaido (including Cape Kamui, Wakkanai and Cape Soya). 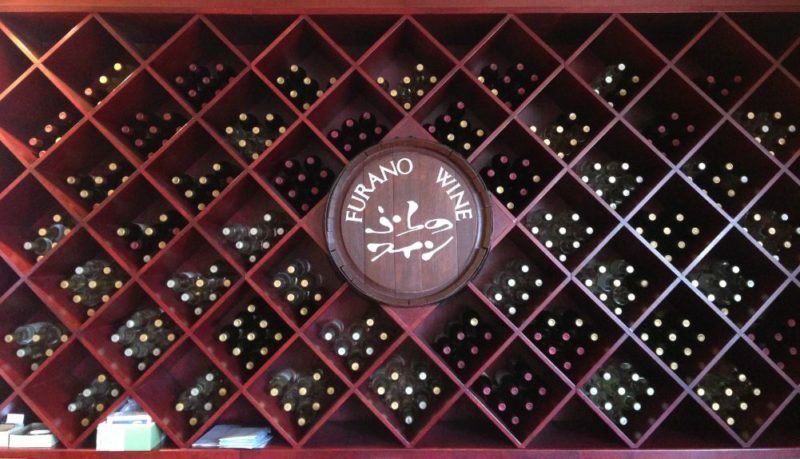 Will include Biei and Furano as well. Do you think is workable? I want to follow the tourist route but at the same time i’d like to able to see a little of the north side of Hokkaido as well. 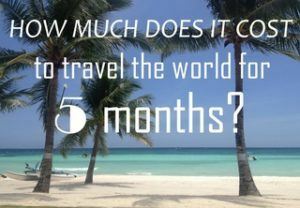 Just iffy about the travel distance and time between the cities thats all. We want to be able to take a relaxing journey and take our time, instead of being on the road all the time and rushing from one place to another, not taking time to enjoy the experience.